DVLA and DofT changes - What you need to know! 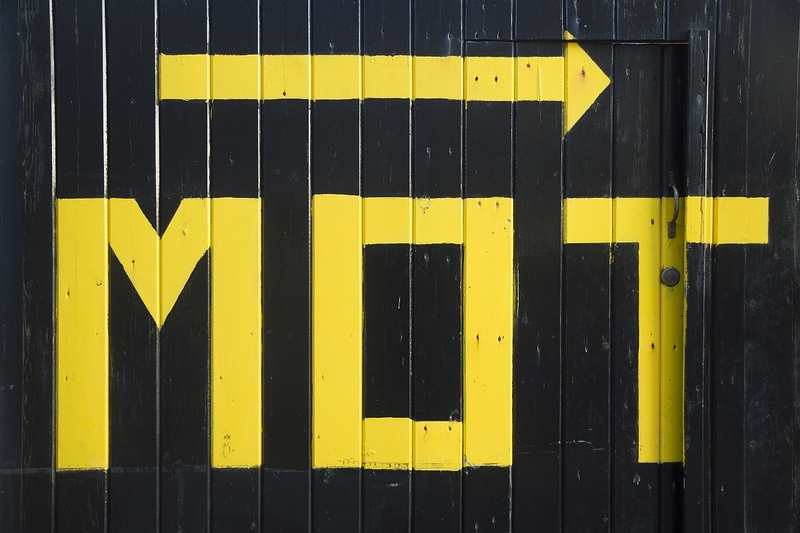 MOT exemptions, Q-plates, modifications from standard and vehicle history. It has been a turbulent time for us TR enthusiasts in what seems to be one government announcement after another of late and it seems the crackdown on the classic car owner has well and truly begun. The first was an announcement that as of 2040, the production of vehicles powered by the internal combustion engine is to be outlawed. Although, on further investigation it would appear that Hybrid vehicles would be OK. Concerns around the impact on fuel supply and the clear indication of the feelings towards petrol and diesel from the powers that be were the first set of talking points to get to grips with. Shortly after the fossil fuel outlawing, the DVLA announced that TR owners can no longer obtain a copy of a TR's history from them. DVLA have redefined 'Reasonable Cause' for accessing vehicle records, and have stated that a request from the current registered keeper of a vehicle for details of previous registered keepers of that vehicle for the purpose of researching its history was NOT considered to be 'reasonable cause'. The next development came mid-September when, in one fell swoop by the Department of Transport, classic cars over 40 years old have been exempted from the annual roadworthiness test effective from 20th May 2018. The exemption will be applied on a rolling annual basis but, and here is the rub, will only apply to vehicles deemed not to be "substantially changed" from standard specification – more on that point in a moment. This move was taken despite the consultation survey showing that 55% of respondents were against the proposed plans for the MOT to be scrapped for historic vehicles. This will result in the current figure of 197,000 exempt vehicles on the road increasing to 293,000 almost overnight. The justification from the DofT appears to be based around research that suggests that there are lower MOT failure rates for vehicles over 40 years old and that fewer of them are involved in fatal road collisions. The majority of car clubs have issued the same advice to their members as we have here at the TR Register and that is to continue getting your MOT regardless of changes in the law. Our advice is to support the TR specialists and continue with your now voluntary annual inspection. Getting your car on a proper lift with an independent, professional pair of eyes to give it the once over is the right thing to do. The worst thing that could happen would be for one of our TRs to cause an accident or death and create a public backlash against TRs and you can be assured that such an accident would be widely covered in the media. Whilst you cannot of course generalise all classic car owners, most of us would acknowledge that on more than one occasion we have undertaken work on our car with more urgency than normal to ensure it enjoys a clean sweep at the MOT. Will that still be the case now the requirement for inspection is taken away? For example, how many property landlords would service their boilers every year if the law didn't require it? Sadly, the DofT figures bear out that assumption with only 6% of pre-1960 cars being presented voluntarily for MOT since their exemption came into force. 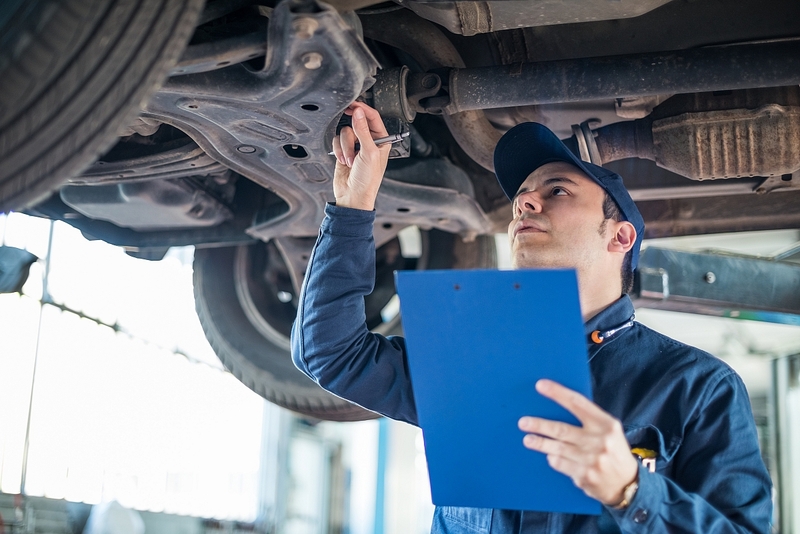 If we are honest with ourselves, we have all been surprised at an MOT at least once when the inspector has found a potential safety critical problem that we were unaware of. Not perhaps so pertinent to TRs, but more the wider classic car scene, is the view that the new legislation, rather than keep classics on the road, may prove to cause the opposite. Without an annual inspection to point out corrosion issues for example, rust might be ignored until it is too late. We all recognise that it is cheaper to keep classics going with regular repairs rather than face pulling them apart for a full restoration further down the line. The effects on the secondhand market will also be profound as without an MOT requirement it will prove harder for buyers to weed out potentially dangerous cars offered by the unscrupulous seller. The definition of "Substantial Change"
As the old adage goes, "with one hand they give and the other they taketh away…" and it seems that saying is never truer than the next part in the saga of DVLA changes. Westminster is now locked into talks around inconsistencies between DVLA changes to classic cars and the way they are registered. Your TR will no doubt have its original age related registration number which it has worn all of its life. However, over the years, you may have had to make certain changes to various components as part of the expected maintenance régime. According the DVLA's consultation results document, that may not now be enough to satisfy them that your TR is indeed a historic vehicle. Furthermore, if they prove it, your TR could end up wearing a Q-plate and not qualifying for historic vehicle status or MOT exemption. In future years or decades, who knows what that will mean for these unfortunate vehicles? It may be that they will fall foul of legislation brought in to remove fossil fueled vehicles from the roads which hopefully, the lobbying groups will campaign to ensure 'Historic' category vehicles are exempt from. This is pure speculation on my part of course, but not entirely implausible I'm sure you will agree. "In our consultation last year we did propose to use the DVLA's 8 point rule, which is used to determine whether a modified vehicle should be re-registered. Having given this further consideration, our current draft of guidance is now proposing instead that modified vehicles with an increased power/weight ratio of 15% or more should now be considered substantially changed". What is not addressed in that statement however are the references in the draft guidance to any changes away from factory specification for even a non-restored car, which refer to such minor changes as telescopic rear dampers on TR4s or disc brakes on TR2s for example. Originally it was understood by the FBHVC that the declaration of modification would not be compulsory, but further statements from the Department of Transport have since suggested that it will be: "where the vehicle keeper is re-licensing their vehicle on-line it is intended that an additional question be asked whether the vehicle has a current MOT and the vehicle keeper will be required to declare that their vehicle has not been substantially changed since 1988. Appropriate safeguards will be in place that will prevent a vehicle keeper from declaring the vehicle is over 40 years of age and progressing to the next stage of the licensing process, before first declaring whether or not their vehicle has been substantially changed." The enforcement, as we are reliably informed, would begin with letters being sent out to thousands of classic car owners asking them to prove that they have not substantially modified their vehicle since 1988. The FBHVC have responded saying, "this would seem to be an inappropriate use of public money, especially when you consider how unclear it is to rectify this matter based on their confusing guide lines." Clearly this is set to open a monumental can of worms, especially for Triumph TRs, a marque that is so easily modified, tuned and improved with relatively little outlay and effort, a fact that means the majority of our cars have enjoyed tweaks in performance over the years. Weber carburetor conversions, performance cams, gas flowed cylinder heads and even modern oils might all notch a TR up into the 'Q-plate danger zone'. In a statement, the FBHVC said, "We are unsure as to what type of vehicle this exclusion is aimed at trapping. However, what is clear is that the adoption of the rather modest 15% uplift threshold would capture a great many vehicles which even in period would have been offered with standard power unit options exceeding by some margin, these tight limits". They later went on to elaborate on this statement in their consultation response document where they stated; "There are very many vehicles, currently and often long regarded in Great Britain without question as being historic, which have undergone substantial changes to the technical characteristics of their main components, often very early in their long lives. The result of this freedom has meant that limited records exist of the extent or date of modifications of motor vehicles, whether on an individual or statistical basis. What is absolutely clear is that introduction of a technically based standard for acceptance as a VHI (Vehicle of Historic Interest) would limit existing freedoms, and create a division within the cadre of historic vehicles in Great Britain which has not previously existed. Contrary to the assertion of the Consultation, at least some measure of new regulation would be being introduced, which would substantially affect our members". There clearly are more questions created by this guidance than answered. Firstly, 15% more of which figure? Factory handbooks, period advertising, manufacturer specifications, workshop manuals and Autocar road tests all have slightly differing figures. Is it SAE or DIN output – because that must be consistent throughout the measurements? Who is going to measure the power output of every classic and how we do know the equipment is calibrated correctly? After all, even the weather on a particular day can affect the readings from a rolling road. This raft of questions and many more from car clubs across the classic car spectrum are currently being compiled by the FBHVC who are currently locked in crucial talks on our behalf with both the DVLA and Department for Transport. Recently, I met with David Whale, Chairman of the FBHVC, (where I was able to pass on the concerns of TR Action readers) and he told me that, "It is still open to discussion, there are still issues to be addressed and we will be strongly putting forward the views of the entire classic car movement in our meetings in Westminster over the coming weeks." The TR Register, as a member organisation of the Federation of British Historic Vehicle Clubs (FBHVC) we will be ensuring that we, the TR Register remain at the forefront of the consultation process and that our members' views and concerns will be included in that. Via the TR Register press office, the club has also voiced our concerns and views in writing throughout the classic car media but it is important not be too alarmist regarding these proposed changes. David Whale, FBHVC Chairman informed me during our conversation that representatives were next due to meet with the DofT in mid-October and the results of that and other consultations will be released for us to cover in detail here in TR Action Magazine and online at www.tr-register.co.uk as soon as possible. Press statement from the FBHVC on the DVLA / DofT announcement. ​MOT Exemption of Historic Vehicles – a warning from the FBHVC. ​Lord Montagu, who established the National Motor Museum at Beaulieu, has died aged 88.